It is a dangerous world, it is a world in transition. Meanings are universal; creating meaning is a moment to moment personal experience. And this is why at midnight as spring equinox approached our living room became a triage of sorts. Today, March 13 is Z Day, which to many, globally, is a day to raise awareness about sustainability and connection. This is the generation that is raising human consciousness as set out in the wonderful tenets of the Venus Project. Please, look to those links and think about this cosmic shift, this hopeful and optimistic progression of humankind. Truly, the youth of today are embarking on a path that will result in a harmonic planet. Zeitgeist. Zombies. Hmm. Harmonic world consciousness rising. Undead rising, thirsting for blood and hungering for brains. So Chris and his friends participated in Z-day last night, an event developed through their facebook pages, a call for zombies and survivors to infiltrate a local mall and settle once and for all who will prevail–humans or, um, unhumans. I am quite proud to report that Chris and his friend Blake were the most persistent of human survivors. They evaded those blood seekers, they were clever, they were fast, and you know we’re not talking about old school zombies. Sure, George Romero’s original 1968 documentary shed light on our rotting brethren, their ambitions, their drives, their hungers. But in order to cushion this reality, to offer hope for humans, he used a little creative license and only portrayed the most pathetic of unbeings. What he failed to show, what we had to wait a couple of decades to find out is a full-on hungry zombie is fast. Yes, I know that there is a great deal of pushback about fast zombies. There are some excellent papers on the development and feasibility of Zombie Olympians. Premier zombie expert George Romero tried to reassure us in an interview with Vulture regarding zombie speed. I do have rules in my head of what’s logical and what’s not. I don’t think zombies can run. Their ankles would snap! And they haven’t yet taken out memberships to Curves. He is offering false hope. Chris and Blake found out last night, escaping a horde of undead is dangerous business. Which leads us back to triage. Chris came home with brains intact but a severely swollen knee. “Nah,” says the boy who walked around with a broken leg for a half a day and an infected appendix for a couple of weeks. (Breathe in, breathe out.) Okay. 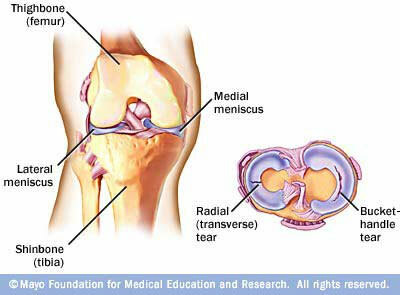 We’re thinking strained or torn lateral meniscus. Blake escaped with some scrapes, a little bruising and swelling. A Scooby-doo band aid did the trick. Jeff suffered sympathetic pains so he got a band aid on the forehead. I won’t say anything about bruised egos or brain quality. The post-modern metro-zombies tend to have rather refined tastes. Happy Z-day, folks, and remember we need to share this world in harmony. I look toward all the mess of our illusion and feel yuk. I look toward our kids and feel beyond hope, joy, pride …love that line…embarking on a path that will result in a harmonic planet. Zombies included. Hope Chris’s knee is better. You so get it, Kath. His knee is getting better–physical therapy and bandages. No Scooby Doo for him though. He should be pretty good when we get to NY.